Not going to E3? Going to be hooked to all the announcements? 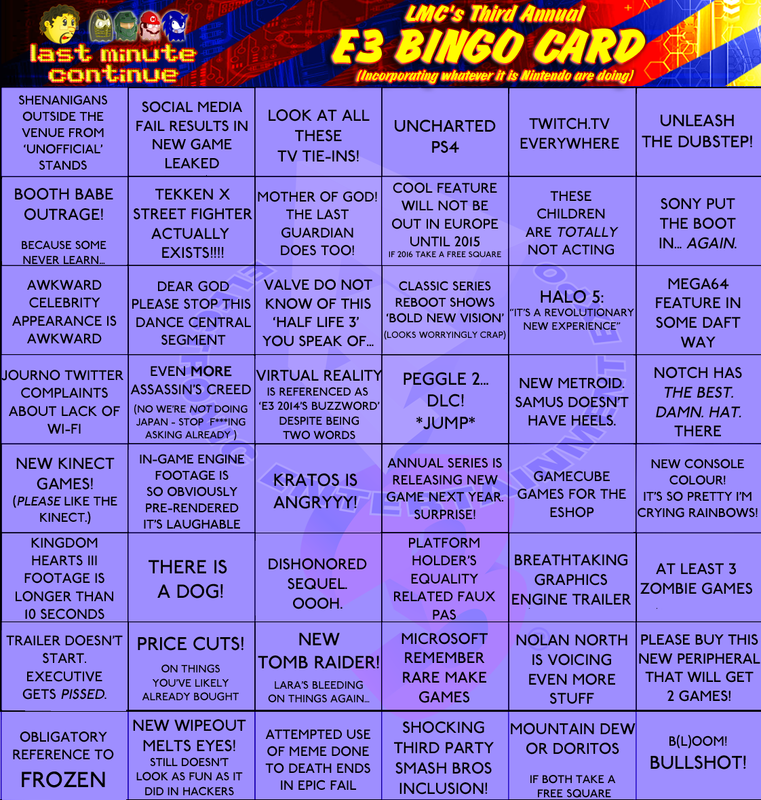 Well we’ve good news – back by popular demand for the third year running it’s our annual Electronic Entertainment Expo bingo card for you to play along with and enjoy at home. This year’s card is the biggest ever with old favourites returning and new items born out of neccessity from previous years.